In fall of 1994 I was among the students of the incoming freshmen class at The College of William and Mary in Williamsburg, Virginia. The freshmen class was gathered at William and Mary Hall for the convocation. One of the speakers told us to look at the person on our left and then on our right. The speaker went on to say that our class was among the brightest incoming classes ever. I forget the percentage but it was something like 90 percent of my class were either salutatorians or valedictorians of their graduating high school class. More importantly, the speaker passed on some very smart advice to us young men and women that every college student should take to heart. He said, "Take classes that interest you. If you've never taken a kinesiology class or a philosophy class take it. Major in what you want to major in. Not what your parents or your brother or sister want. Major in what you want." I did graduate from The College of William and Mary in four years and I'm very proud of that. But I did not major in what my parents had planned for me. They had hoped that I would choose a career path just like my late paternal grandfather, Pastor Fabunan, who was an accountant. The truth was that the economics and business courses were not meant for me. Yeah, they definitely were NOT meant for me! I struggled and I humbly withdrew from or failed a couple of those classes. Instead I majored in Spanish. Why? In my junior year I took a hard look at my grades and immediately noticed that my best grades were from my modern language classes. At the time I loved immersing myself in the romance languages and I excelled in them especially Spanish. There was also pressure from my mom to complete my studies in four years so a BA in Spanish it was! And this is true for much of life. By pretending to be something that we are not we can never be happy or be true to ourselves. Life will always be an upward struggle. I love this quotation by Saint Catherine of Siena: "Be who God meant you to be and you will set the world on fire." Life is so short. Why pretend or delve into misery, right? For about 12 years of my young professional life I was a banker for large and small banks and I did pretty well for myself. The problem was that I pushed myself at work and I never really loved it. I pushed myself to the limit working extremely late hours and even on the weekends. I liked certain aspects of bank management like leading, coaching, and encouraging my team members but deep down inside I was never completely happy or satisfied. What changed for me? I got married to a wonderful man and we had a beautiful baby boy. But then my health spiraled downward and I hit rock bottom to the point of being bedridden. Eventually I found the Institute for Integrative Nutrition (IIN) and in a year I became a certified integrative nutrition health coach. I utilized the knowledge that I learned from IIN and thankfully I started to heal my condition. I was so intrigued with the use of food as medicine that I continued my education taking an alternative healing course. I then used that education to help myself completely heal and my own family heal their conditions ranging from eczema, food sensitivities, high blood pressure, and heart burn. I continue to take holistic health courses because of my passion in helping others heal their own conditions. And, yes, since I've found my calling I want to set the world on fire! I believe that any disease or ailment can be reversed. Anyone can heal with the right foods, mindset, and proper rest. That's the beauty of working with a health coach especially an integrative nutrition health coach. We health coaches are trained to really listen to our clients and help them heal on a deep physical, emotional, and spiritual level. I love the flexibility that I am allowed. I am able to be the kind of wife, homeschooling mom, blogger, and integrative nutrition health coach that I want to be. Thanks be to God, my faith and family will always come first but I have found a wondrous joy in health coaching and there is nothing else I'd rather be doing. Find your truth, your voice, and your purpose, and you will set the world on fire. And after that there is no going back! What on earth compelled me to join the ranks of independent direct sellers? It started rather innocuously one Saturday morning last year while searching for something to jazz up my Fall accessories wardrobe. 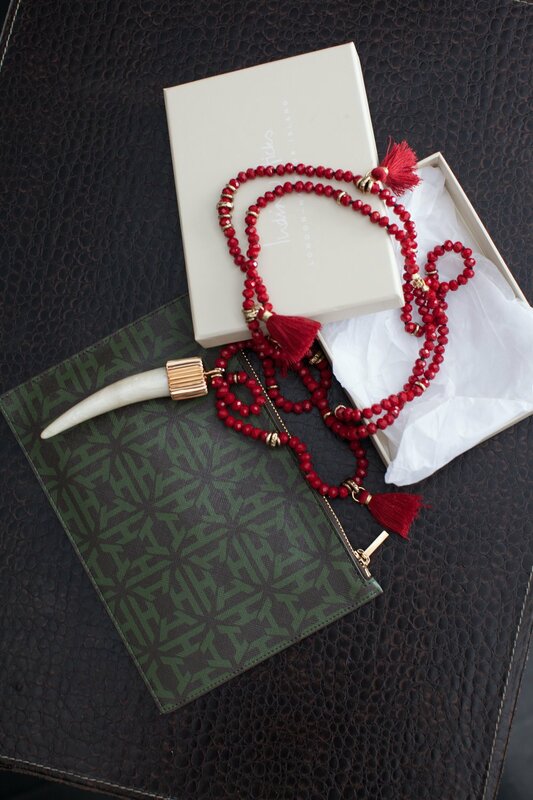 I somehow stumbled upon India Hicks and was immediately intrigued. I loved the look and style; it also happens to be a more affordable luxury than the brands I used to buy when I had a corporate salary. You probably know the ones I mean. So that leads me to the first reason I decided to get on this rollercoaster. 1) I love the brand. The aesthetic is wonderful, the quality is excellent, and India is one cool chick. I sincerely don't want you to buy something from me because I sold you on the idea. I would much prefer that you want (love!) something that I happen to be selling. 2) I needed to shake up my look. Working for myself, from home made it far too easy to get into the rut of wearing the same yoga or cargo pants day in and day out. You might call my sartorial choice: "lazy pants" or something like that. 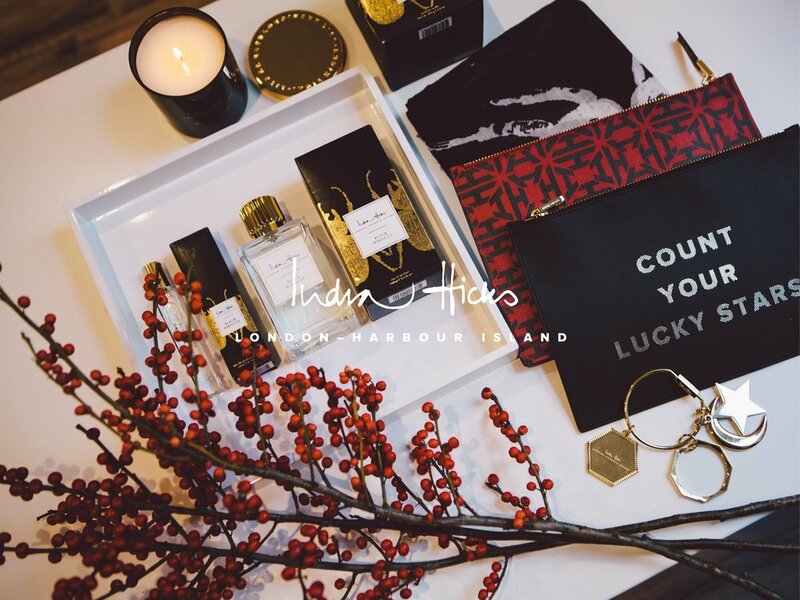 Being an India Hicks Ambassador is a good excuse to dress up a little every now and then. Not that I've given up my yoga pants completely! 3) It's exciting to discover a new gem of a brand. I've worked on ginormous brands (um former Global Brand Manager for Vaseline, hello!) that totally know how to meet consumer needs, yet I delight in the challenger brands who need to hustle and be more insightful than the established ones. 4) I'm actually an introvert and I don't excel at "putting myself out there." I dread cocktail parties because I'm convinced that I have nothing interesting to talk about, but I really do love hearing what others have to say. Being in direct sales requires me to step out of my comfort zone and hopefully grow in the process. 5) Last, and by no means least, making a little extra money is appealing. Consumer understanding and brand strategy are still my core professional passion - please visit me on Hat Trick 3C, too - but sometimes the consulting business can be really slow, with nobody having budgets or time for the strategic services at which I excel. That's my story. I'd love to hear yours. On my Facebook page (https://www.facebook.com/IndiaHicksNoVA/), there is obviously an emphasis on our products, but I also showcase: my favorite local/challenger brands, great Northern VA places to eat or visit, quirky style ideas, and my random musings. It would be great for you to post those things there too. Should you now be intrigued and want to see our beautiful wares, please visit my ambassador site at http://bit.ly/GLGIndiaHicks.